NOTE FROM THE CYBRARY: In July 1999 we lost a good friend. We invite you to remember him for his story, and the courage he shared with us in the following article he wrote…his outreach to other Liberators can be seen in the extensive archives he inspired and helped me put online. Visit the Liberators Page. From Chuck Ferree, I share this article and my own promise that I will do what I can to keep the memories alive, and to prevent such events from happening again…we will miss him at the Cybrary. 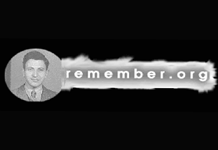 Please tell a friend to remember today, because we lost one Liberator, one person who helped us all remember. Valie Borsky went to Heaven August 23, 1995. Few of us know about Valie Borsky, or would care very much about her transition from a seventy-five year old house-wife, toan Angel. I consider myself fortunate to have spent three days with Valie and her husband, in their Oakland home three years ago. She agreed to be interviewed by me for my book project, and after becoming acquainted, we quickly became staunch friends. We spent considerable time together, while I taped nine hours ofher experiences, from her childhood, to her incarceration, liberation and eventual immigration to Australia and finally to the States. One local woman grew up with Valie in the former Czechoslovakia, but she happened to be born a Christian, while Valie happened to be born into a Jewish family. This accident of birth, placed Valie’slife in jeopardy from the very beginning and prevented her from living a normal, human life for most of hertime on this earth. An educated woman, Valie moved to Prague after college. Her employment by a large Czech business allowed her to earn a decent wage, and enjoy the bountiful cultural opportunities available in this Mecca of music, theater, and other performances which drew people from all over Europe during the twenties and thirties. Valie was arrested for being Jewish, and spent over four years in the Nazi Concentration Camp (Theresienstadt) located 40 miles from Prague. A military fortress built byAustrian Emperor Joseph II in 1780 and named after his mother the Empress Maria Theresa. The Fortress consisted of two main parts: The Big Fortress on one side of the River Ohre and The Small Fortress on the other. It became a typical military garrison town in 1882 with 3,700 inhabitants living in 219 houses plus3,500 soldiers housed in military style barracks. In 1941 the Germans took over the town (Terezin) and transformed it into a concentration camp for Jews. Theso-called Ghetto averaged a population of 35,000prisoners during it’s five year existence, but as many as 60,000 Jews were jammed into the Ghetto during peak periods. The Nazis fooled the German Red Cross, and wealthy Austrian and German Jews into believing that Thereisenstadt was actually a resort, and lovely spa with all kinds of cultural activities, theaters, coffee houses, and beguiled thousands of Europe’s elderly Jews into actually paying a fee to live in this Paradise. Brochures were produced by the Nazis, depicting Theresienstadt as a health resort, a spa, located on a beautiful river, with acres of fruit trees, rolling hills and lovely summers. Hundreds of wealthy Germanand Austrian Jews fell for the propaganda, and requested an apartment with a view. They were assured that they would love the place. Working twelve to fourteen hours every day, Vali and her co-workers placed thenames of more than 100,000 Jews from all over Europe on 70-80 lists of one thousand people each for shipment to their deaths. Men, women and thousands of children. Her own name appeared on the “Transport” list on four different occasions. Each time her name was removed by co-workers, but another person had to be chosen to make up the complete Transport. One of the cruelest schemes the Nazis used in Theresienstandt, became the hoax of selecting a committee made up of so-called elected Jewish leaders, headed by one person appointed by the SS, and named “The Elder of the Jews.” During it’s existence, Theresienstadt, produced several so-called Elders, all of whom were simply figureheads with noreal power. They all perished one way or another, usually shot along with their families, and usually after weeks of torture. Another strange twist invented by the Nazis; each list of names destined for transport, had to be submitted by a committee of the Elders and approved by the Camp Commandant, who in reality cared less whose name appeared on the heinous list, so long as the quota was filled. 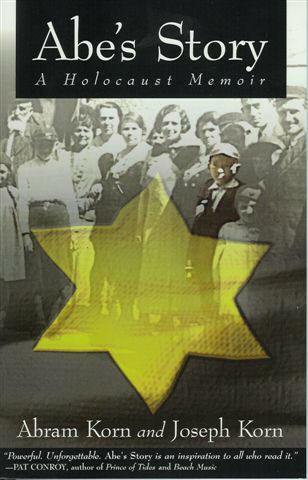 This policy created a great deal of chaos, because even though some inmates were considered “safe” by their jobs or value to the ghetto their names were often selected by other Jews who didn’t know them, but had to complete the necessary quota, often with less than twenty-four hours notice. Frequently, spouses would volunteer to go along with their families, and it wasn’t unusual for a mother to take all of her children with her even though most suspected “Transport” meant death, or being shipped to slave labor camps, which were much worse than Theresienstadt. On the other hand, many families were separated forever, when the father or mother orchildren appeared on the list, and nothing could be done to make changes once the list had been approved and submitted. In the mean time, an estimated 160,000 people perished in the Ghetto from many causes: disease, execution, and starvation. 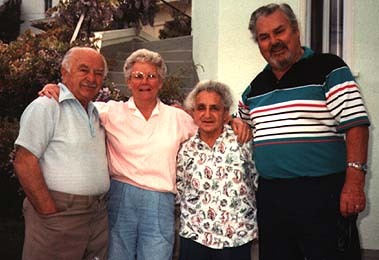 Valie’s parents arrived late in 1941 along with her younger sister. Herfather died at the age of 55 of starvation, a broken spirit and broken hearted. Her mother soon followed. Her beautiful blonde, blue eyed sister went to her death in the death camp Auschwitz before her 21st.birthday. Valie typed the names of many of her friends on the death lists, including her fiancee. Vali’s years in the Ghetto were miserable, as were the lives of most other inmates. Fleas and lice were a constant problem, the source of Typhus and other contagious diseases. Hunger never left her. Stealing food meant survival, but just barely. 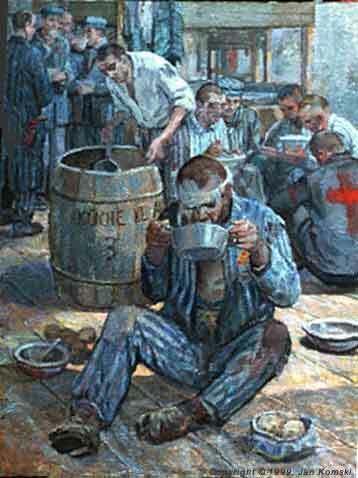 Every prisoner became emaciated and many simply gave up and died. Valie told me that stealing food became an honorable thing to do, even though the penalties were severe if caught. Some of the inmates who worked outside, harvested weeds and grass which they cooked and ate. Eventually, the SS outlawed this practice, but inmates furtively continued stealing grass and weeds, which the horses grazed on. She told me that when boiled, the weeds and grass tasted a little like spinach. Potatoes became a most valuable commodity, while the staple food was watery soup and stale bread. Valie lived in a one of the military barracks, sharing space with other women working in her department. They slept on straw scattered on the wooden floor, with one tattered blanket each to keep them warm during the wretched winter months. Many succumbed to pneumonia and other diseases caused by malnutrition and the cold, damp winters. Valie continued to augment her diet by stealing and or trading items of one kind or another for more edible food. She finally got caught with three stolen potatoes, and the punishment was a severe beating administered by one of the many Czech ghetto police, hired by the SS, and armed with whips and clubs. Valie suffered grievous wounds during the punishment, which was supervised by a young SS officer who encouraged the Czech to “beat her to death, to teach the rest a lesson.” The club injured her internally, but the worst consequence was broken bones in her back, arms and shoulder. Even though hospitalized for weeks, the Jewish doctors did not have the necessary medication nor equipment to treat her properly, and as one result, she became a “hunchback,”with a distorted spine and one leg shorter than theother. She never stood upright again. Her height had been shortened by four inches and she was crippled for the rest of her life. All for three potatoes, and themaliciousness of the SS. Such treatment of inmates was common, the brutality of her fellow countrymen, was only surpassed by the inhumanity of the Nazi SS. 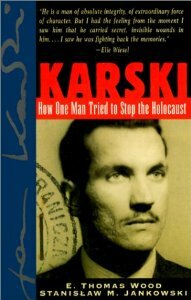 Eventually, the Czech police were dismissed and some killed when they became part of the Czech resistance. One reason they were replaced by SS was suspicion on the part of the camp Commandant that they might become organized and cause trouble for him. When the Germans realized that the Russians were closing in on Prague, Adolf Eichmann received orders from Heinrich Himmler to set up gas chambers and kill all the people still in the camp. Upon reaching Prague after a most difficult journey, Valie found total chaos. None of the officials could offer help or assistance. She had no money or other assets, just the clothing on her back and a cardboard suitcase with a few extra tattered things to wear. She was helpless and hopeless. Hungry and desperate. She wandered around Prague, along with many others who had been recently liberated, finally finding her way to the oldest Synagogue in the city. She was fed, and given shelter in “Old Prague,” along with a few coins which she used to rent a tiny apartment, sharing it with another woman and her nine year old son, who also had been in the ghetto. She booked passage on a ship bound for Australia. During the voyage Valie met another Czechnamed Vladislav Borsky. (her maiden name was Tick).They fell in love and were married during the long voyage. Vladislav was not Jewish, and he had survived during the war and occupation by becoming a bootlegger, providing the occupation forces with booze, some of which he made himself. An engineer by education,Vladislav, was a very bright and resourceful man. He had plenty of money, and when their ship reached the shores of Australia, he purchased a house and took a job operating an aluminum factory. Eventually, he opened his own business and they prospered. Vladislav, who told us to just call him “Joe” because we had difficulty pronouncing his name developed heart trouble years ago,and wasn’t in good health, is one of the nicest men we have ever met. Valie who seemed healthy except for her injuries, suffered a heart attack in August 1995 and died after two days in a hospital. During our many talks, she expressed little bitterness or hatred against any one. Her son knows about her past, but not in detail. She has always been reluctant to discuss in detail, her terrible experience and suffering at the hands of the Nazis, but because she trusted me and felt time may be running out, she shared her story with me. As a person who entered several Nazi concentration camps shortly after their liberation, and saw th emanner in which millions of innocent people were killed or died because of the Nazi policies, and having returned to Europe several times, re-visiting places where I saw so much death and destruction, I’ve come to believe that even though many have seen documentary films of the Holocaust, and read about the terror perpetrated upon millions of Europeans by Hitler and Nazi Germany, if you haven’t smelled the smells, personally viewed the deep pits filled with unknown corpses, and watched as American soldiers summarily mowed down hundreds of Nazi guards, especially in Dachau, it would be difficult to develop a realistic feeling for the significance of Valie’s experiences.